Heading into 2016, the digital national news staff at the E.W. Scripps Company thought our biggest stories would surround the divisive presidential election campaigns we would follow throughout most of the year. Viewers care most about what's happening in their own communities, and they are sensitive to when others are greatly affected by tragedy. Comments on our TV and radio station Facebook pages show that our viewers rally behind others when they experience tough times. We identify with those who face hardship and connect with the stories that are told. Here is a look at some of the biggest stories on our 60 television and radio news websites across the country in 2016. Police in East Liverpool, Ohio felt it was an important message to share with the world: They took pictures of two people on heroin who had passed out in a vehicle with their 4-year-old grandchild inside. The driver and passenger were talking with a police officer who had pulled them over for erratic driving when they passed out, and Narcan was used to revive them. Police said they shared the photos of the incident in hopes of raising awareness of a big problem being dealt with in that community. Court officials said the little boy in the photos was moved to South Carolina to live with his great aunt and great uncle. 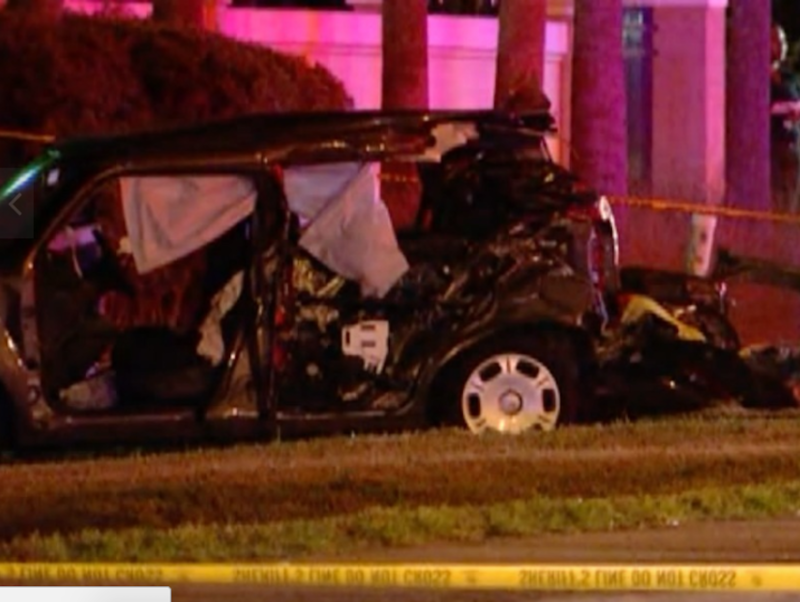 Three adults and two children died during a multi-car crash in October in Tampa, Florida. Investigators said one of the deceased adults, the passenger in the speeding car that caused the crash, had just been posting a video to Snapchat when it occurred, and that video showed the vehicle's speed at 115.6 miles per hour. It was not clear to investigators why the driver, who was killed, had been going so fast. A horrific accident on the Verrückt waterslide at Schlitterbahn left 10-year-old Caleb Schwab, the son of a Kansas state representative, dead from a neck injury. Two others who were on the raft with him at the time of his death survived. Witnesses said harnesses had not been working properly for them earlier in the day. Verrückt was the tallest waterslide in the world, standing at 17 stories tall. 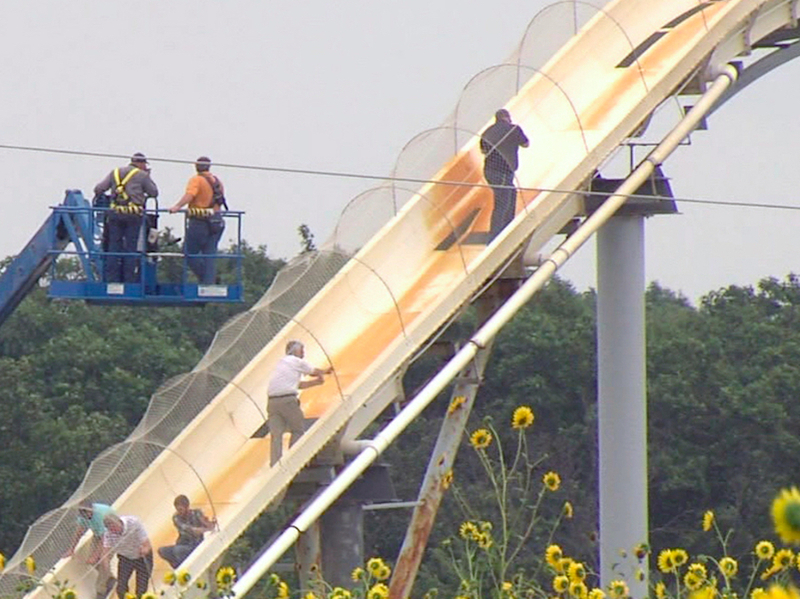 Officials announced in November the waterslide would be removed. An investigator hired by Casey Anthony's attorney said in court documents that the attorney, Jose Baez, admitted Anthony killed her daughter. The documents with this information became public record when Anthony filed for bankruptcy. The investigator told authorities Baez said to him he needed help finding the child's body before anyone else could find it. Anthony was acquitted of murder charges in 2011 and filed bankruptcy in 2013. It looked like an earthquake could have struck near a Nike store in Seattle, Washington, where photos reveal how much crazed shoppers seeking Black Friday deals can do to a place. Hundreds of opened shoe boxes were seen strewn across the store. Mandy Gambrell is the national editor for Scripps Digital, a division of The E.W. Scripps Company. She manages the Central Content Team, which produces national news content for nearly 60 television and radio websites across the United States. Follow her on Twitter @mandygambrell and the team @ScrippsNational.